I am not at home until March but tried the Jiasew and it works beautifully. Couldn't believe the fast shipment. Thanks. It is a great product and it was a fast shipment. I am satisfied with my purchase. Thanks. 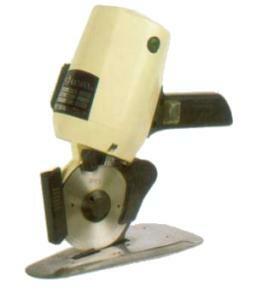 This has been the fourth or fifth cutter that we have purchased fromyou. We have been very satisfied with them. Unfortunately, we sometimes are careless and cut through the cord, which is why we have replaced them. Although, we have removed the outer metal parts and use the cutter to cut thriough rolls of fabric. We will continue to purchase from you. We have made several purchases with your company and have always been satisfied with the service and products. Thank you for caring about the customer after the sale. That's Sew Sweet! One improvement to web site would be: Customer comments/reviews have more info about your web site than they do about the products being reviewed. It appears everybody has a good opinion of the web site (and I do, also), but not much opinion about the various products. Good shopping experience, though, and the fabric cutter we bought to cut sample book swatches worked well for our purposes. I have purchased several items from your company and it has been a delightful experience from the beginning of ordering the item to getting every piece that was promised. I will definitely continue to purchase from you! Keep up the wonderful customer service that is so friendly & personal! You always get products to me in a timely manner and have parts on hand when needed. Unfortunately, I had to return the Gemsy Knife, as my husband, who is in textile manufacturing, brought me an Industrial Knife home as a surprise and the quality was exceptional. If business grows, I'm sure, I'll need another knife and know where to purchase. Thank you. Machine is doing an excellent job so far. We have over one million lbs of clothing to cut and this is a trial piece of equipment. After 2 weeks of testing we will determine the need to purchase additional units. Thank you.